Before there was Maui, before there was the Bahamas, before the also-defunct Great Alaska Shootout, there was Portland. 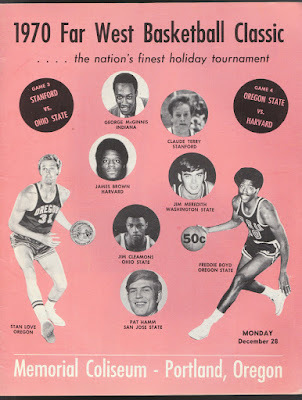 For almost 40 years the Far West Classic was THE college basketball holiday tournament. While nowadays most of the big college hoop tourneys are around Thanksgiving, the Far West Classic was the week between Christmas and New Year's, and it provided the blueprint for all the current tourneys. For kids around Oregon, their best Christmas present wasn't a toy, but a full-tournament ticket. School was out, and basketball was in! But the tournament was ahead of its time, and faded away just before college basketball and holiday tournaments became a TV staple. Since I have found no real histories of the Far West Classic, you may as well consider this it, for now. First, what the hell am I actually talking about? The Far West Classic was an in-season 8-team men's college basketball tournament held in Portland, Oregon. It helped prove big-time basketball would be supported in the northwest, and probably helped Portland land an NBA expansion team you may have heard of. As a sports media guy in Oregon, I always assumed that the Classic was originated and run by the Oregon Ducks, for Oregon's results in the Classic are still a prominent feature in their yearly media guide, even though it's been more than 20 years since the last Classic was contested. But no. Just the tiniest bit of outside research (i.e., "Googling,") let me know that the tourney actually originated with the Oregon State Beavers, and the first few contests were held at Gill Coliseum in Corvallis. For years, OSU media guides listing their year-by-year records merely noted OSU's Classic results as a "game in Portland," with nary a hint of how much the tournament meant to the school. Even now, it's almost a footnote in Beaver media guides while the Ducks still devote several pages to the Classic and its various team and individual records, even ones not held by the Ducks. This is very bizarre, for the Oregon State coach that devised the tournament- is the guy Gill Coliseum is named after! Emory "Slats" Gill started it in 1956 as a simple four-team invitational held in Corvallis with Washington, USC, and the University of San Francisco as the other participants. The Beavs won the first three tournaments handily. (Check out the '57 program for a big slice of Americana- including a full page promoting the "Far West Classic Queen," 1950's pageantry if there ever was one.) Due to a number of circumstances, Gill decided to take the tournament to the next level as a showcase, and invited the Ducks to become co-hosts. Oregon had not participated in the first three tournaments. The reasons are unknown but rather easy to deduce- they already played the Beavs at least three times a year and probably were not interested in playing another game against them on OSU's home floor. But in 1959, the Ducks and Beavs found themselves both without a conference for the first time since 1915. The precursor to the Pac-12, the Pacific Coast Conference, had been rocked by football scandals throughout the 1950's. 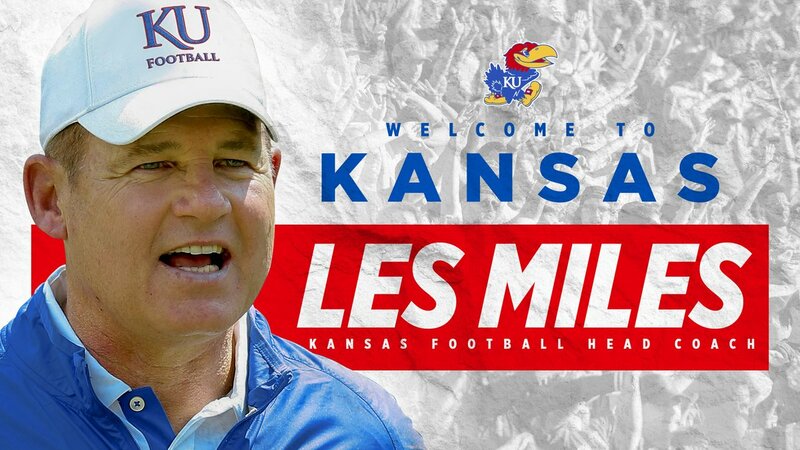 The scandals, and I'm sure you're going to be shocked about this, involved paying players. The Duck football team had been caught in the early 50's, but later in the decade Washington and UCLA were nabbed within a matter of months. Nearly every single coach and person associated with the Bruins program admitted to paying players, or being paid to play, or something along those lines. Not only did the Bruin staff admit to their own pay-for-play, they pointed out nearly the same setups going on at USC and Cal, meaning half the conference was in trouble. When the scandal hit the public eye, the conference came under intense scrutiny and essentially dissolved and re-formed as the incredibly clunkily named "Athletic Association of Western Universities" for the 1959 season. Although Oregon and Oregon State were charter members of the original PCC, and Stanford had actually voted for UCLA's complete expulsion from the conference because of the scandal, the Ducks and Beavs were blocked from re-joining the new, stupidly named AAWU. Cal, Stanford, UCLA, USC and Washington were the new "charter" members. (For the record, Cal, Washington, Oregon and Oregon State were the 1915 original members of the PCC- Washington State and Stanford joined a few years later, with UCLA and USC coming aboard in the 20's). For 1959, the Far West Classic began the day after Christmas on Saturday, December 26th. Gill got eight teams to participate by guaranteeing three games for each team, to make the travel worthwhile. 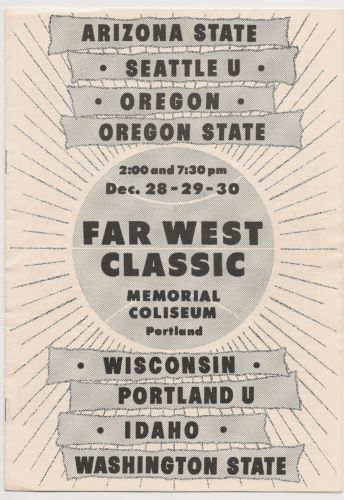 The first eight-team Far West Classic included the host Beavers, the co-host Ducks, fellow expelled PCC teams Washington State and Idaho, along with New Mexico A&M (now New Mexico State), who had made the NCAA tournament the previous year (and would go again in 1960), Portland, Denver, and, surprisingly, Hawaii. In their very first Far West Classic game on Saturday December 26th, the Ducks set a tournament record that would never be broken- they got 70 team rebounds against Denver, who finished 7th and never played the Classic again. The title game was what everybody hoped for, Ducks vs. Beavs, and Slats' team won 60-56. But Oregon got the last laugh that year, making the NCAA tournament and getting to the Elite 8 for the last time until 2002. For 1960, the tournament found its permanent home, the brand-new Memorial Coliseum in Portland's Rose Quarter. In the fast-growing west, even though Corvallis isn't far away from the Rose City, Gill and company were sure playing in the new arena in the big city would mean a brighter spotlight on the Classic. And it happened. That first Memorial Coliseum tourney in December 1960 featured the hosts, three holdovers- the Cougs, Portland and Idaho- along with Seattle University, Wisconsin and Arizona State, then still in the Border Conference. The Oregon side of the bracket was stacked. The Ducks lost to Arizona State, who lost to Seattle in the semis, and the Beavs beat the Redhawks in the title game. In March 1961, some four months later, Memorial Coliseum hosted the West Regionals of the NCAA tournament. Three of the teams there had been Classic participants- Arizona State, Seattle, and Oregon. ASU beat the Redhawks and then USC- who had taken out the Ducks- to make their first Elite 8 before losing to Utah. The tournament grew despite Oregon State's dominance. The Beavs won the first eight Classics under Gill's guidance, and three straight NCAA tournaments- highlighted by a Final Four appearance in 1963, led by Heisman Trophy winner Terry Baker (the only time a Heisman Trophy winner has made the Final Four) and another OSU legend in Mel Counts. Both also made the Far West Classic all-tournament team that year with Counts scoring an all-time Classic record 48 points (and an OSU record for decades) in their first-round game against LSU, thanks to an also-tournament-record 23 free throw attempts. The Ducks finished 3rd in both '63 and '64, but their all-tournament team members those years fared better at basketball than either Baker or Counts. 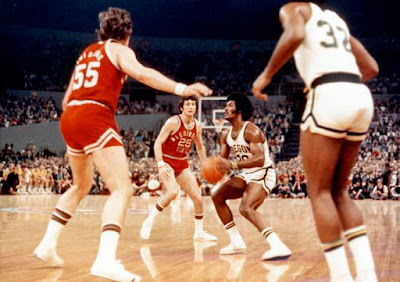 Steve "Snapper" Jones found more success off the court as a long-time color commentator for NBC, while Jim Barnett was the 8th pick in the 1966 NBA Draft (there were only ten teams then, but still), and while playing for Portland several years later became the inspiration for the Blazers best-known nickname. Barnett took a long-range shot against the Lakers and when it went in, Blazers announcer Bill Schonely yelled "Rip City!!!" and a legend was born. After the '63-'64 season, Slats Gill retired from coaching and handed the reigns to long-time assistant Paul Valenti, who had actually played for Gill in the late 30's. 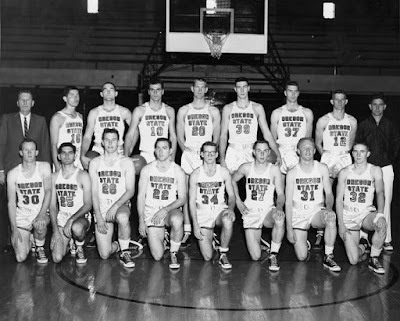 Valenti continued OSU's Classic dominance, as they won in '64 and '65 to make it ten straight Far West Classics, ten straight Oregon State Far West Classic Championships. In March 1966, just a few weeks after Oregon State lost in the NCAA tournament, the founder of the Far West Tournament, Slats Gill, died rather unexpectedly at the age of 64 after a series of strokes. Gill had been OSU's Athletic Director after retiring from basketball (his best hire was football coach Dee Andros to replace Tommy Prothro, who had bolted for UCLA. One of Andros' assistants was a fellow named Bud Riley, and he had a son named Mike who would win a state title as QB for Corvallis High in 1970 before becoming OSU head coach for more than 15 years and never losing his love for the Valley). But Gill was never far from the arena named after him, and without his guidance in 1966 Valenti and the Beaver cagers were lost. OSU lost all three games at the Far West Classic that year, as Washington beat Washington State in the finals and Oregon lost two of three to finish 5th. That was the first real test for the Classic- could it succeed even if the hosts weren't any good? The answer was a resounding yes. Perhaps it was coincidence, perhaps it was because of the '66 stumble by both teams, but the 1967 tournament featured Dean Smith's North Carolina Tarheels, one of the best teams in the country, coming off their first Final Four (of what would be three straight). It also had the Utah Utes, who had also made the Final Four and were near the end of one of the best runs in school history. Sports Illustrated's write-up of the tournament spoke of it like it was an American institution, noting past Classic games like they were Super Bowls. Carolina beat Utah in what was described as an epic semifinal and the Beavers surged back to the finals, although the Tarheels took care of the hosts to win. If you were making a list of the best Classics, '67 would be up there. Tournament MVP was Charlie Scott, Carolina's first-ever black scholarship player, which garnered nary a special (aka patronizing) mention in the article, just the fact that he was the best player on the court at Memorial Coliseum. 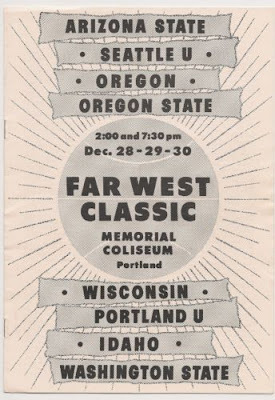 Going into 1968, the year after the AAWU finally got their act together and changed their name to the Pac-8, the Ducks had little hope to do anything at the Classic. Oregon had been brutal the last two years, managing just one conference win in '66-'67 and two in '67-'68. They opened '68-'69 by getting crushed in two games against North Carolina, and entered the Classic after two feel-better wins against Portland and Idaho. But the Ducks found themselves in Portland. After an opening-round win against Yale, they survived in overtime against BYU to make just their third Far West Classic final, and there they upset Washington State for their first-ever Classic title. They did this thanks to a sophomore sensation by the name of Stan Love and tournament MVP Billy Gaskins. (The same night Oregon beat the Cougs, a British rock band played just its fourth concert in America at Portland's Civic Auditorium, as the opener for Vanilla Fudge and Iron Butterfly. But by the end of the first month of the tour Led Zeppelin had moved to the top of the bill, where they stayed.) The Ducks repeated in '69, with Love and Gaskins again making all-tournament team (Led Zeppelin's late '69 American tour did not come to Portland). Far from causing less interest in the Classic, it only accelerated Portland's growing basketball frenzy. It certainly didn't hurt that the Ducks and Beavs met in the title game for the first time since the Classic went to eight teams in 1959. Oregon's Stan Love and Oregon State's Freddie Boyd, each on the cover on the left, were on the all-tournament team, with Boyd taking MVP honors as the Beavs won their first Classic since 1965. The Beavs also had a new coach that year. 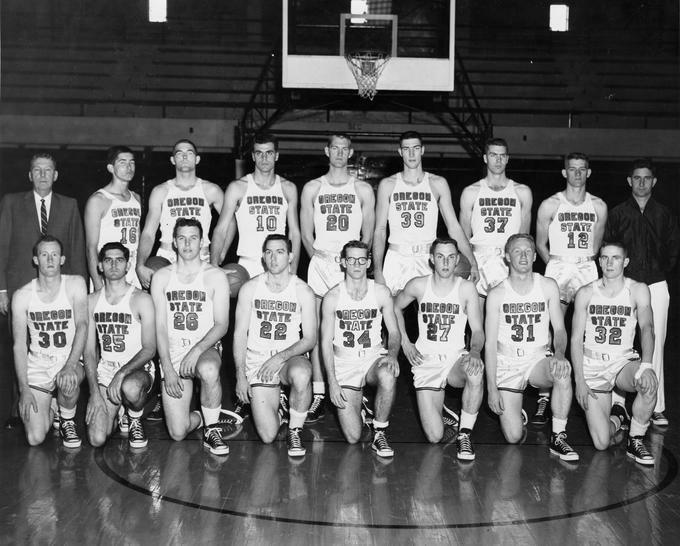 In December 1958, just a few weeks before the final four-team Classic, Wichita State came to Corvallis as part of a west coast tour. At halftime, Wichita State's athletic trainer had a stroke and died in an Oregon hospital just a few days later. OSU went all-out to help, flying out the athletic trainer's wife on their dime and taking care of Wichita State as best they could. The Wichita State coach never forgot that, even after he moved to Iowa and made the Hawkeyes national contenders. When conflicts between the coach and Iowa administration flared up in the spring of 1970, the former Wichita State coach was interested in finding a new job. Iowa was playing in the Maryland NCAA regional, and he heard that Paul Valenti had just resigned at OSU. As it turned out, Valenti and OSU's Athletic Director were at the regional. He met with them, and after a few more twists and turns, Ralph Miller became Oregon State's new head coach. 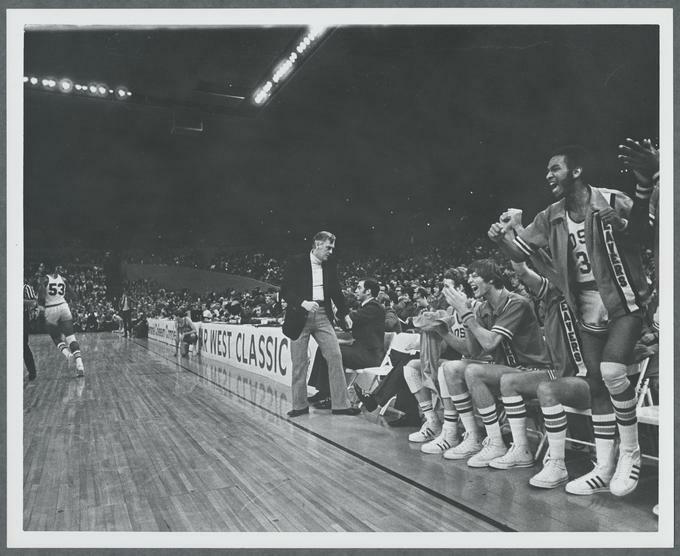 The Beavs lost the '72 title game to Minnesota (coming off a Big 10 title and Sweet 16 appearance). The most notable player wasn't tournament MVP Ron Behagen of the winning Gophers but his teammate, Dave Winfield, who was eventually drafted in three sports by four different teams- the NBA, ABA, MLB and NFL (though he never played college football)- and eventually chose baseball, which proved to be the right choice. 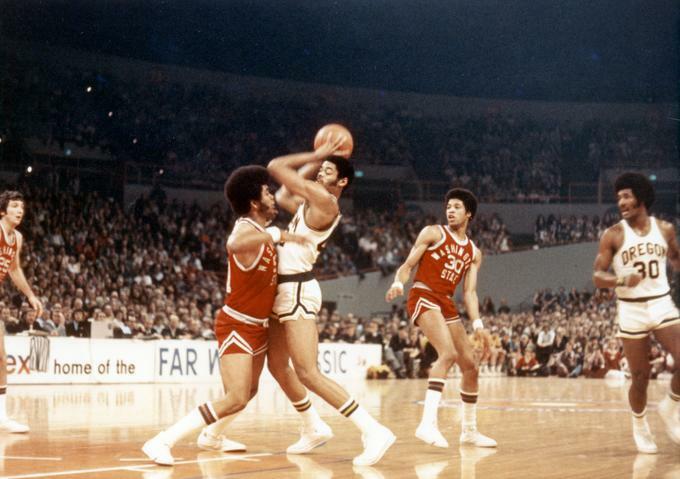 In the '73 title game the Beavs lost to Washington (who featured no two-sport stars). In '74, Oregon stormed to their third title in their peak "Kamikaze Kids" year, with Ron Lee taking MVP honors, but a brutal six-game conference losing streak in February doomed the Ducks from making the newly-expanded NCAA tournament, which went to 32 teams and finally allowed at-large bids. Oregon State, who beat Miller's former Iowa team in the first round but lost to Washington State in the Classic semis, finished second in the Pac-8 (behind eventual national champ UCLA, of course), and made the NCAA's, winning one game. With the NCAA's expanding, out-of-conference games became more important, and thus the Far West Classic became an even more important showcase. There was a significant uptick in competition for the next several years. North Carolina returned in '76 and again didn't lose a game, beating Weber State in the finals and taking three of the five all-tournament team spots with Phil Ford, Walter Davis and Tommy Lagarde. But MVP honors went to Anthony Roberts of Oral Roberts, who scored a tournament-tying record 48 points in their 2nd game against Bowling Green en route to a 5th-place finish (they lost to Carolina in the opening round and then beat Bowling Green and the Beavs). Roberts made history in March against the Ducks in the first round of the NIT, scoring a tournament record 65 points.... but Oregon won the game by a single point, 90-89! In the NCAA's, Carolina came up agonizingly short in the title game, losing to Al McGuire's legendary Marquette squad. In the '77 Classic the only eventual NCAA-bound team was beaten by Oregon State in the semis by a point in overtime and finished 5th, but everybody was pretty sure Villanova would do all right and that they did, making the Elite 8. 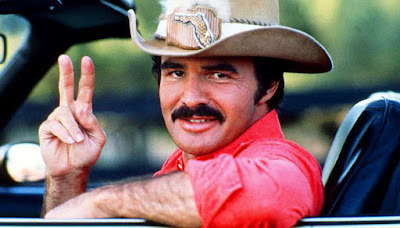 As long as we're nominating best Far West Classic years, 1978 is definitely on that list. The title game was NCAA Final Four worthy, with Michigan State beating Indiana 74-57. And yes, Magic Johnson was tournament MVP. The Spartans rolled through the competition and got their first number-one ranking as a result. Things only got interesting when they tried to get home, as it took three days because of a snowstorm. (Of course, Magic and the Spartans won the '79 NCAA title over Larry Bird and Indiana State). Oregon State and Oregon lost in the Far West Classic semis to those two teams and the Beavs won the third-place game. The '79 Classic featured Eugene native Danny Ainge, who despite heavy recruitment from the Ducks and Beavs went to BYU. The Beavs beat Ainge in the semis and took out a very good Clemson team in the finals for their first Classic win since Ralph Miller's first year in 1970. Clemson's team included two future NBA players in Larry Nance and Mitchell Wiggins, but it was John Campbell who made the Far West Classic all-tournament team and OSU's Steve Johnson was the MVP. The Beavs rolled to their first conference title since that '65-66 team but was upset by Lamar in the 2nd round of the NCAA's. Clemson made the Elite 8 by beating Ainge and BYU. The Beavs started the 1980-'81 season ranked seventh in the country, and did nothing to make anyone feel different. They rolled through the Classic like a buzzsaw, beating the Ducks by ten in the final. But that season ended in heartbreak for OSU. They won 26 in a row, a modern-era OSU record, notching their 2nd-straight Pac-10 title before losing the season finale to 5th-ranked Arizona State. The Beavs then made history in the wrong kind of way, losing at the buzzer in their first NCAA tournament game to Kansas State, one of the finishes that day that helped define "March Madness." Oregon State had won more than 50 games in two years, remarkable in a 27-game season, but hadn't made a dent in March. In the semifinals of the '81 Classic, Oregon State had a big early-season test against Idaho, who were also coming off an NCAA tournament year. Idaho rolled OSU 71-49 and then thumped Oregon 81-62 in the Classic finals. The Beavs shook off their lumps and won 17 of their last 19 to take their 3rd-straight Pac-10 title and though they were ranked 4th in the nation, were only awarded a two-seed in the NCAA tournament. The Beavs then won their first game over Pepperdine, setting up a rematch against Idaho and won by eighteen to make the Elite Eight. There, OSU lost to Georgetown, who would end up losing the NCAA final to North Carolina on a shot by a kid named Jordan. Idaho repeated as '82 Classic champs by beating Oregon by three in the semis and Oregon State in the finals in double-overtime, 42-41 (the shot-clock wasn't introduced in college until '85). Again Oregon State met Idaho in March, but this time it was in the NIT, and again the Beavs prevailed (they would lose to eventual champ Fresno State). The Ducks, who had not finished over .500 in 5 years under Jim Haney, then did something smart and hired away Idaho's coach, Don Monson. 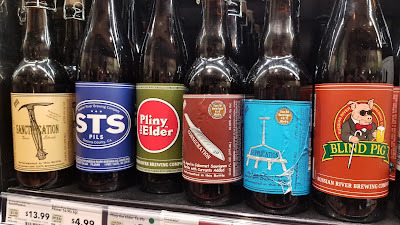 The 1982 Classic was nearly the last one. 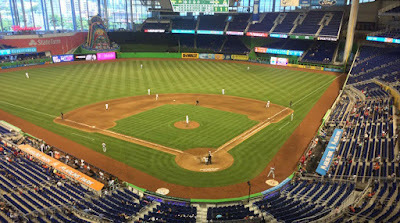 The NCAA made a rule around that time saying that regular-season tournaments held in the continental United States counted against a team's 26-game maximum schedule, but tournaments held outside didn't count. That immediately gave more prestige to the Great Alaska Shootout, which had begun in 1978, and tournaments in Hawaii (the Rainbow Classic at this time, soon to be superseded by the Maui Invitational). So the Classic was in serious danger. Organizers were fortunate Idaho was good, local, and needed the exposure. Aside from the Ducks and Beavs, the other participants were either small northwest teams (like Portland and Montana State), or small teams, period (Lamar, Drake and Tennessee State made up the rest of the '82 field). Seeing this, in 1983 Portland-based Fred Meyer Stores came aboard as a much-needed title sponsor, signing on for three years to guarantee continuation. Washington State returned for the first time since 1978, but again the tournament was fortunate to include a smaller northwest team with a future basketball hall of famer, John Stockton and the Gonzaga Bulldogs. The Zags lost to Oregon in the semis, who lost to Oregon State in the finals by four points. Stockton was obviously the best player on the floor and was an easy choice for tournament MVP. The Beavs won the Pac-10 regular season title (their 4th in 5 years) but lost in the first round of the NCAA's to West Virginia. The Classic settled into a pattern, with only one or two bigger schools aside from the hosts and several smaller schools making up the field. The Beavs beat Cal in the '84 final, with Portland native A.C. Green making his third straight all-tournament team and finally getting named MVP. The Beavs made the NCAA tournament again but lost in the first round. Fred Meyer renewed their three-year deal to keep the tournament going at least through 1989, but the level of teams continued to diminish. Louisiana Tech swept their way to the '86 title, beating Oregon in the final and the Beavs in the semis, but OSU's future superstar made the all-tournament team as a freshman, a fellow by the name of Gary Payton. With Payton coming into his own and the competition dwindling, the '87 title was a formality, but the tournament's future wasn't. A tournament preview got one of those right, with Miller and Monson all but admitting the writing was on the wall. In the semis Oregon beat the alleged favorite, an Oklahoma State team that couldn't figure out that they had a future NBA star in John Starks, an Oklahoma native who at the time was better at getting into trouble than he was at basketball, and he was really good at basketball. In the final, the Beavs faced the Ducks, and Payton earned MVP honors in the 11-point win. In March the Beavs made the NCAA's and lost to Louisville in the first round. Oregon State won again in '88 and you can figure out who was named MVP. But the crowds were shrinking. Sure, games involving the Ducks and Beavers drew well, but without them there was zero interest. The 8th-place '88 game between Middle Tennessee State and Colorado officially had about 2,500 fans, and while the total attendance goal was 40,000, it wasn't getting there any more. By this point, thanks to the non-exemption NCAA rule the Far West Classic was the only regular-season tournament held in the continental U.S. Soon after the '88 tournament was over, Fred Meyer declined their option to continue sponsoring the Classic, so that meant '89 was it. Ralph Miller retired as Oregon State head coach after that '88-'89 season, as the Beavs once again lost in the first round of the NCAA's. 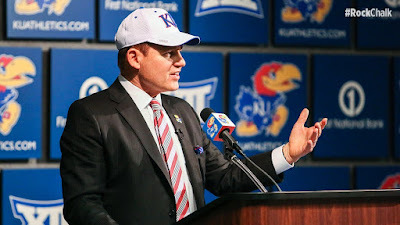 Although Miller's departure had been planned a few years earlier, it ended up guaranteeing that long-time assistant Jim Anderson would have a stacked team for '89-'90, led by Payton as a senior. The quality of the rest of the field all but guaranteed an Oregon State - Oregon final in the last eight-team Classic that December, and neither team disappointed- but it was close. The Ducks, with Terrell Brandon, squeaked by Northeastern and Illinois State, and Payton and company rolled Boston U. before holding on for a two-point win Louisiana Tech. The final was a spirited contest, with the Beavs nearly blowing a 15-point lead in the final minutes, but Payton sank two free throws in the final seconds to clinch the title and his third straight tournament MVP, which was the only time that ever happened. Jim Anderson started off with a Pac-10 championship and and NCAA tournament first-round loss. Payton was drafted in the first round by the Seattle SuperSonics and of course ended up in the Hall of Fame. Without the Far West Classic, Oregon and Oregon State scheduled a game for Memorial Coliseum in late December, 1990, and Oregon won. It's the last time the Ducks and Beavs have intentionally added an extra meeting after doing away with an annual third, officially non-conference game in the mid-70's (though they have met for a third time in the conference tournament). In 1991 organizers brought back the Classic as a two-day, four-team tournament. The Ducks and Beavs won the revived tournament twice, and there were some notable players on both sides in its six-year run- Oregon State had Brent Barry ('93 MVP) and Corey Benjamin, while the Ducks had Kenya Wilkins ('96 MVP) and Antoine Stoudamire ('92 MVP). But it wasn't the same. Both teams played in the other tournaments in Alaska and Hawaii, and both teams struggled in the standings. The Ducks had changed coaches after the '92-'93 season, hiring Jerry Green, and they flukily made the NCAA tournament in 1995. After that year, the Beavs fired Jim Anderson and brought in Eddie Payne, who had been a good head coach at a smaller school. I firmly believe that should have gone the other way and made a big splash, for basketball was OSU's bread-and-butter for years. But they didn't, and haven't really recovered since. 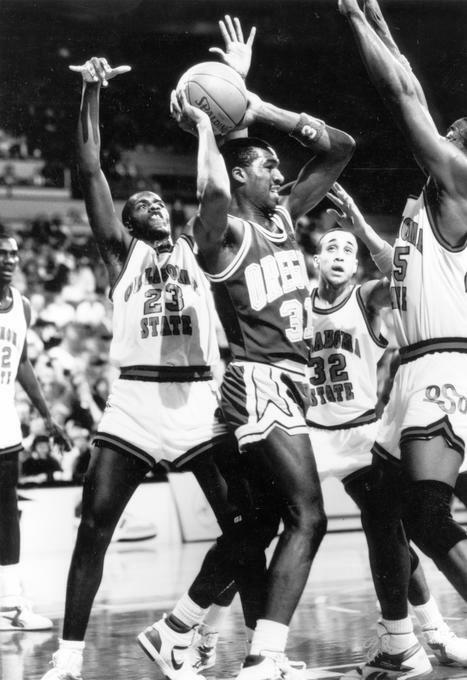 In the final Far West Classic game, December 28th, 1996, Oregon beat Oregon State by two points. They didn't play it at the Memorial Coliseum, but across the way at the brand-new Rose Garden. Over 13-thousand showed up. As it turned out, the largest crowd to ever watch a Far West Classic game... saw the last one. One thing I can't figure out is if any game of the Far West Classic was televised. Of course now you can watch any game on your phone, but there was a time when televised college basketball games were hard to come by. In my early days in media, I worked on the crew for several TV games at Oregon's famed McArthur Court. We had to wire and unwire the place after every game. Every. Game. Because it was built in 1927 there was no space for the large wires to be run under the floor, so they had to go where everybody walked. As a result, we had to remove them when we were done because we couldn't just leave them there overnight. And this was in 2002. So I can't imagine Memorial Coliseum being any better, even though it was built in the early TV era. The Classic ended just as ESPN was really coming into its own, and I imagine it might have been revitalized had it been able to hang on just a few more years as an eight-team tournament. Without TV, and without a similar tournament in Portland now, The Far West Classic is ignored pretty much everywhere. Basketball-reference.com has a number of problems with their listings of arenas for games in the early years of basketball (listing early Washington Huskies home games at "Bank of America Arena" and not "Hec Edmunson Pavillion," it's proper name since it's opening in 1927- and not having a complete team schedule until the 1949-50 season). The 1966 tournament, for instance, is listed on every team's schedule as taking place in Texas, at the Dallas Convention Center. (Indiana's schedule is the most obvious example.) When the University of Portland is involved, the games are listed as being at their home arena, and several of Oregon State's games are listed as taking place in Corvallis. For several teams, like North Carolina's, the arena is listed as "blank." I mentioned at the top how the Classic goes virtually unmentioned in Oregon State media guides. It makes very little sense. Except for a brief run by former Oregon head coach Steve Belko as tournament director, it seems like Oregon State was in charge. For many years the Classic took up several pages in the Beaver media guide, listing results for all teams, individual records and so on. 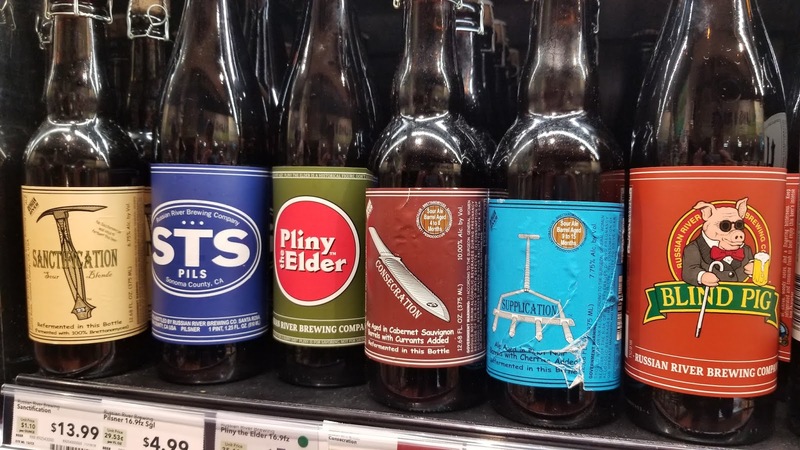 By 2010, the "Portland" designation had been dropped for "Far West Classic" in the year-by-year results, but that's as far as they've gone. When Wayne Tinkle became OSU head coach, Oregon State tried to bring it back the Classic in 2015 as a four-team tournament and the old guys hoped for a return to the Glory Days. (I had hoped to discover that Tinkle actually played in the Classic, but Montana, his alma mater, never participated.) 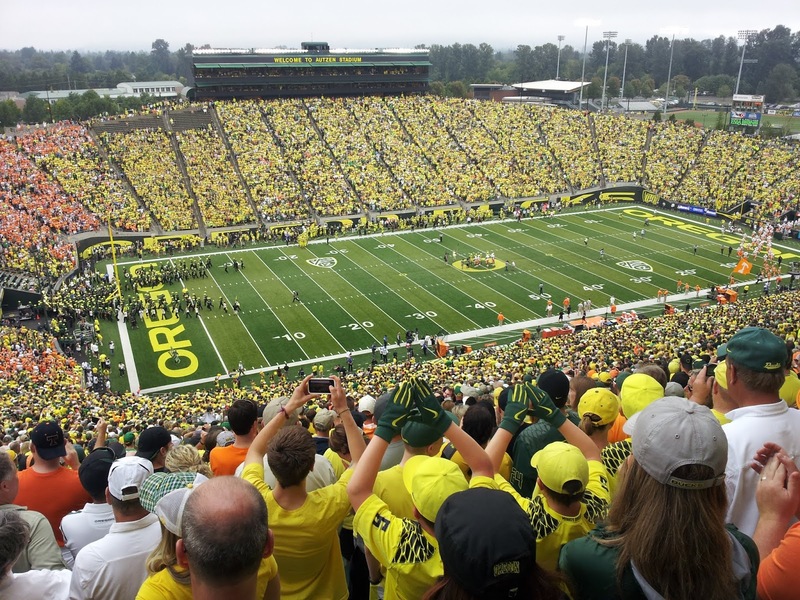 Without the Ducks, OSU brought in Portland as co-hosts and they renamed it the "Dam City Classic" for 2016. For 2017, they eliminated the tournament idea and the "Dam City Classic" became just a single game, and the 2018 edition drew just over 5,000 to the nearly 20-thousand seat Moda Center/Rose Garden. 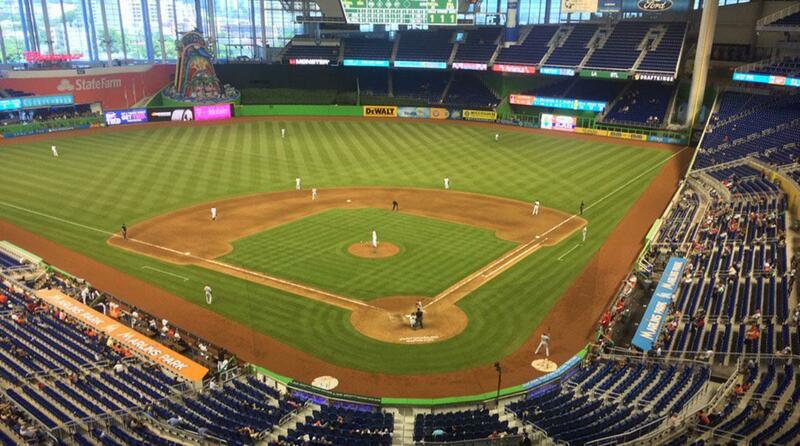 Not exactly a sellout. The closest revival to the Far West Classic was a one-off in 2017 for Oregon graduate and Nike co-founder Phil Knight's 80th birthday, a 16-team shindig split into two eight-team brackets called the Phil Knight Invitational. All the teams involved were Nike-sponsored, of course. But that was it. You only turn 80 once. There is a big between Christmas-and-New-Years tournament in Portland, but it's not a college showcase- it's high school. The Les Schwab Invitational runs two brackets, a 16-team national and an 8-team local, but it takes place at Liberty High School in neighboring Hillsboro, not either of the main Portland arenas. Kevin Durant played in it as a high schooler and so did Carmelo Anthony, among others. That seems to be the holiday tournament for Portland nowadays. So it feels like the Far West Classic is just a part of basketball history. I would like to see the Beavs include more about the Classic in their media guides, or anywhere... anywhere that is slightly more official than what this is. Should it have taken me to write up the history of the thing? Probably not. I'm not complaining, I just did it because I'm surprised it's never happened before. The biggest drawback for the Far West Classic ever happening again... would you rather go to a winter basketball tournament in Hawaii or Portland? That's what I thought. 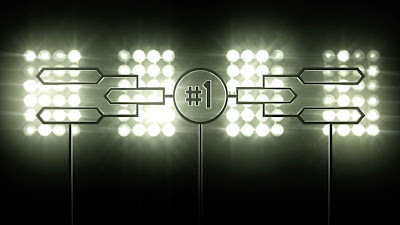 We're just about to see the first week of the College Football Playoff Rankings, which means people are about to go insane complaining about nothing. Which is fine, kind of, because it gives people something to talk about, and god knows there's ten thousand hours of radio and podcast time to fill up nowadays. Seriously, who listens to all these? It's really easy to talk for an hour, it's much harder to listen for an hour. I subscribe to more than a few podcasts that are done by people whose opinions I like because they seem well informed when they write stuff, and their 'casts are about ten minutes of good content and 90 minutes of nothing. I learn more reading their stuff for five minutes than I do listening to them talk. My general rule is that if your podcast is more than 45 minutes, you've gone too far and need to do some serious editing and thinking about what kind of gunk you are spewing, because as a good writer you would never allow that stuff to be published. But that's not why we're here. We're here to remind ourselves the crucial unwritten rules of the CFP committee and what they're trying to accomplish. The committee will never say this out loud, but you need to remind yourself of this when the rankings come out every week. 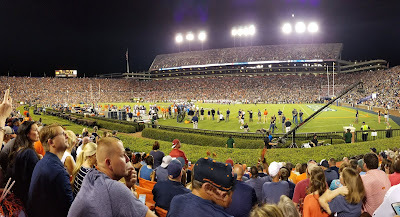 The first top 4 of the year could very well be undefeated Alabama, undefeated Clemson, and two of the three one-loss teams: LSU, Michigan, or Ohio State, with undefeated Notre Dame on the outside looking in. This would naturally cause Lou Holtz, wherever he is, (and that is currently on YouTube doing a show with Mark May that's averaging fewer than 100 views a go) to blow a gasket. A lot of purportedly neutral CFB analysts who went to Notre Dame would also argue that ND should be in the top 4. And you need to remember that should this happen.... it doesn't matter. 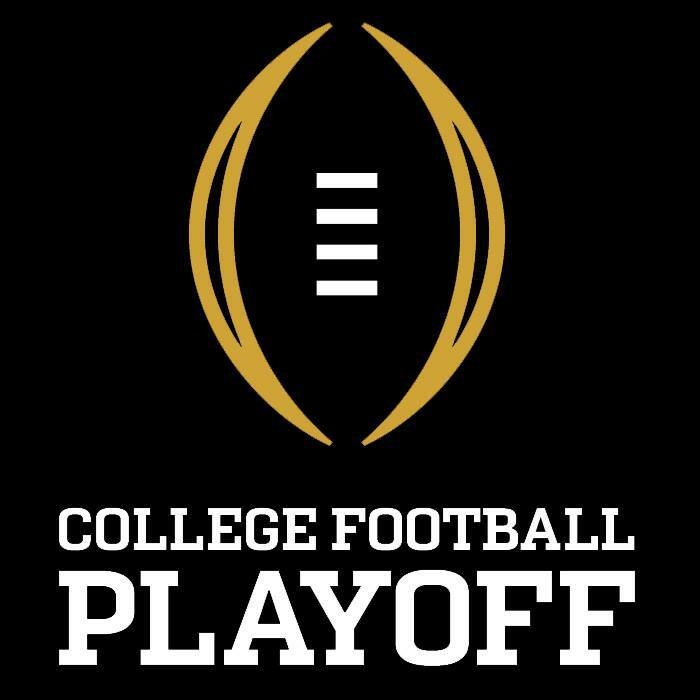 CFP Director Bill Hancock has said many times when asked about expanding the playoff that the regular season is the most important regular season of all and they have no plans to change that. This is executive code-speak for "the job of the CFP committee is to make the schools money, and adding more playoff teams will lessen that." Take the above example, with LSU/Bama and Michigan/Ohio State in the top four and still having to play each other in the regular season. Those games will absolutely draw more interest because there's only a four-team playoff. In an eight-team playoff, the loser of those regular-season games is still virtually assured of making the playoff as the 7 or 8 seed. In the current setup the loser is out, which means those games are much more important. Thus, more eyeballs on those regular season games, thus, bigger ratings of those regular season games, thus more ad dollars spent on those regular season games. You argue, what's the real difference? As a college football fan you're probably going to watch those games anyway. Yes, you are, but the casual fan in a non-college football town will be more likely to watch the game if it "means something" as opposed to hearing that it doesn't make a real difference. You counter-argue that an 8-team playoff makes more money. Well, maybe it does overall for the conference, but an important regular season game in Ann Arbor or Eugene or Austin means more revenue for the host school that they don't have to share with anybody. An extra playoff game, even if it involves the Wolverines or the Ducks or the Longhorns, wouldn't be played on their turf, thus an overall loss of revenue. That is what they mean by "the regular season matters." Why, how convenient it is that LSU and Alabama are ranked in the top four and have yet to play each other. Why, how convenient it is that if Michigan and Ohio State win out until The Game that they will both be ranked in the top four, or close to it. It's almost like the committee is intentionally tweaking the rankings to make those games more important so those schools can make more money. As you have seen, the in-season rankings matter absolutely zilch. They could rank 3-5 Kansas over 8-0 Clemson in November and it would make exactly zero difference in the final rankings. This is why in 2015 Iowa, who remained undefeated until the Big 10 title game against Michigan State, remained ranked over Michigan State (who ended up making the playoff) until the very final week. It just didn't matter. Rank LSU over Alabama right now if you want. Hell, put one-loss Kentucky and one-loss Washington State in now and leave Michigan and Ohio State out. There are seven 7-1 teams right now in the Power 5 Conferences. And then there's 7-0 UCF (again, a discussion for future weeks) and three more "Group of 5" 7-1 teams- Houston, Utah State and Fresno State. Put one of them in and leave LSU out just to rankle people. Doesn't make a difference in any ranking until the final one. The best example here is from the first year of the playoff, 2014. Ohio State was 16th the first week and sixth the final week of the regular season. They won the Big 10 title game, moved up two spots and made the playoff. And then they won the whole thing. So yeah, a one-loss Big 10 champion is going to the playoff every year, bank on that action. If Iowa had won that game and remained undefeated, they would have been in regardless of the fact their strength of schedule was atrocious. And it should really be called "Power 5 Plus Notre Dame," because if Notre Dame finishes undefeated, they are in. Their schedule this year is pretty doggone bad except for the 1st-game win over Michigan, and that was when the Wolverines really had no idea what they were doing. 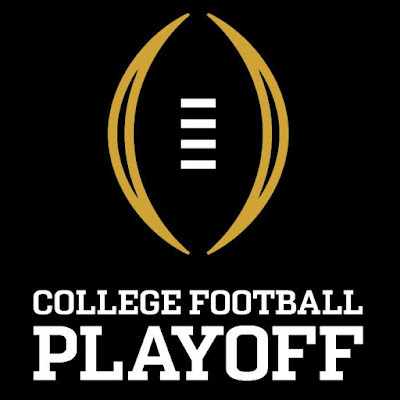 Remember: the CFP and the resulting committee was created by the Power 5 for the Power 5. To not include an undefeated Power 5 team would undermine the entire thing. It is not a coincidence that last year when the Pac-12 and Big 10 got left out of the Playoff that both USC and Washington made "New Year's Six" games and that the Big 10 got three teams in (Ohio State, Wisconsin, and Penn State). Obviously, this is not a given. Two years ago, the 10-team Big 12 didn't make the playoff and only had Oklahoma in a big 6 bowl because Western Michigan (ROW THAT BOAT) "qualified" as a "group of five" team- aka forcing their way into the big boys party in lieu of a lawsuit that would bring the NCAA to its knees as a monopoly. But that's not important right now (even though it is). Look at last year, the best chance for it to happen: Two-loss Ohio State (who didn't win their division) or Penn State (who did win the Big 10 title game) over one-loss Oklahoma, the Big 12 Champ? Over one-loss Alabama (who didn't win their division, either), whose only loss in the regular season was to the team that was number one? If there are four one-loss Power 5 teams, they will be your final four, no matter what the two-loss teams have as credentials. You see, losses make the committee look bad in the eyes of the Power 5 schools, who, as we have mentioned, control the committee. It is the committee's interest to keep the Power 5 schools happy.